What better way to experience the Pacific Northwest’s jewel of a summer than indulging in one of the region’s most famous and creative jazz festivals? The TD Vancouver International Jazz Festival is set to deliver a dynamic lineup of artists (more than 1,800), both local and international, from June 22 through July 1. Run by one of Canada’s largest not-for-profit music presenters, the Coastal Jazz and Blues Society, the festival is in its 33rd year. Over a period of 10 days and nights, the festival will feature more than 300 concerts, approximately half of which are free. The events take place at a variety of venues around Vancouver, with artists to suit every taste. The festival’s Marquee Series, located at the Queen Elizabeth Theatre, features headliners Macy Gray, Kamasi Washington, Bonobo, and Robert Plant. 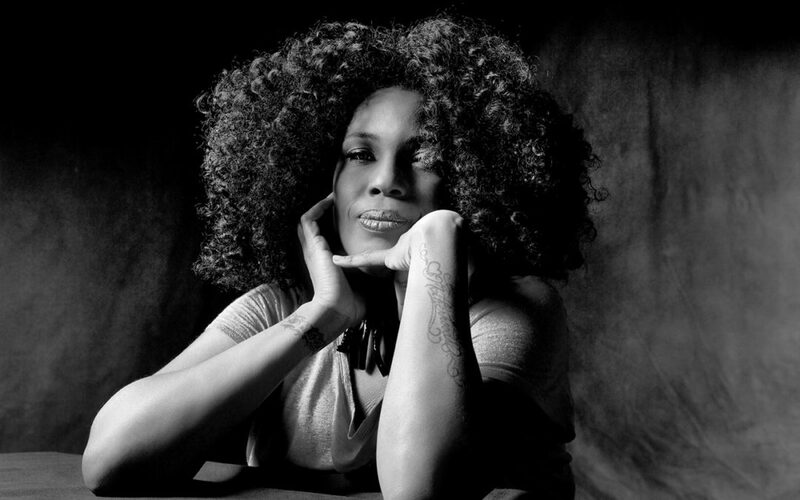 Vocalist Macy Gray, the ‘90s R&B superstar and multi-platinum Grammy Award-winner, will take the stage on June 28. Saxophonist giant Kamasi Washington, who leads the avant jazz way with his progressive, improvisational music that incorporates hip-hop, classical, and R&B, will be performing on June 24. Bonobo (Si Green), billed by the festival as “one of the biggest electronic artists of our times,” is credited with “[creating] shifting soundscapes that meld jazz, electronica, trip-hop and classical and setting them to glorious visuals to create a show that is a feast for the eyes as well as the ears.” Green and his band will be performing on June 25. Robert Plant, best-known as Led Zeppelin’s frontman, will collaborate with the Sensational Space Shifters on June 29. Plant and the Space Shifters have invited folk star Seth Lakeman to help create their unique and spellbinding concoction of American roots music, Celtic folk, and North and West African rhythms. There are several other series designed to meet a variety of jazz tastes. The Vogue Series, located at the historic Vogue Theatre, promises shows that are “fun, upbeat and eclectic.” The venue also has a dance floor for those who want to move along to the music. This series features artists such as the soul-infused band St. Paul and the Broken Bones, indie group Dirty Projectors, the Spanish Harlem Orchestra, and dobro/lap steel star Jerry Douglas. The Performance Works Series showcases modern, easygoing jazz on Granville Island. This series will feature artists such as Julian Lage, GoGo Penguin, Mary Margaret O’Hara & Peggy Lee, and Gerry Granelli with Robben Ford, as well as many others. As a special bonus, on Canada Day, Sunday, July 1, the music at Granville Island is free all day. The Pyatt Hall Series features classic jazz by artists such as Roberta Gambarini, Russell Malone, and Emmet Cohen, while the Imperial Series offers newer-sounding, funkier jazz from the likes of the electronic funk-pop group KNOWER and the Afrofuturist group Sons of Kemet. The Innovation Series, located at The Ironworks and also at The China Cloud, offers even more boundary-pushing experimental jazz with artists including Thumbscrew, Dan Weiss’ Starebaby, Peggy Lee’s Echo Painting, the Tomeka Reid Quartet, Lisen Rylander Löve with Invisible Taste, Cat Toren & Fabian Kallerdahl, and more. Downtown Jazz, which is a family-friendly outdoor space in Vancouver Art Gallery and Robson Square, will host free weekend performances. Their lineup includes the funk band Ghost-Note and the Nubian pop group Alsarah and the Nubatones, who’ve styled themselves as “East African retro pop.” Downtown Vancouver’s David Lam Park will host more free concerts including such bands as the Motown soul band, Queer As Funk, and the Bollywood party-infused group, Red Baraat. Granville Island will host a slew of free concerts as well including the Korean music-inspired band, The Watermill Project; the acoustic bluegrass group, Wildwood Fire; and an improv group that plays abstract expressionist painting-inspired music called Parker Woods’ Otra. There’s a wide range of jazz experiences to immerse yourselves in at the TD Vancouver International Jazz Festival. To learn about all the options, the Coastal Jazz blog entry titled “Insider’s Guide to the Festival,” available at coastaljazz.ca/insiders-guide-to-the-festival/, is particularly helpful, as is the comprehensive downloadable festival guide. For more information, full schedule, and tickets, visit coastaljazz.ca.